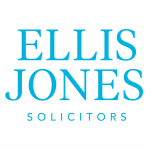 Ellis Jones is mid-sized law firm with five sites spread between three counties. The firm needed a complete IT infrastructure to support its young and dynamic partnership in their rapid growth. It is especially well known for high-value matrimonial cases; international child abduction; commercial property – particularly acting for residential and commercial property developers; banking litigation; corporate; general dispute resolution and wills, probate and trust disputes. Funded by savings – cost-savings identified within the firm were significant. A flexible platform – allowing for the firm to expand and acquire with ease. A pain-free migration – allowing users to hit the ground running without delay. Simplified management – giving IT greater control with reduced resource. Ellis Jones has a bright, dynamic and forward thinking partner team that required and demanded change to enable them to capitalise on the opportunities within the legal industry. IT had been somewhat of an issue, predominately due to aging hardware, software and congested communications. The firm was feeling pain from system slow-downs, failing systems and a swamped IT team. The issues were greatly compounded by the fact that the firm operated over five offices. The managing partner knew the issues were significant but choosing the right route forward was a strategic challenge that they wanted to get right. IT wasn’t an enabler, in many ways it was a hindrance which was restraining the business on numerous fronts. QuoStar first engaged with legal firm Ellis Jones by providing an exceptions audit for the firm. The audit focused on exceptions within the IT environment and the business systems, around areas such as security, spend, work-flow, infrastructure, productivity and efficiency. The report was delivered to both the board and the IT team with clear recommendations on any exceptions to best practice identified. The report also included analysis on a number of key areas where costs could be reduced across the business without affecting the quality of service. Following on from the audit report QuoStar worked in partnership with the internal IT team to consolidate the aged server estate into a sensible, robust and high performance virtualised IT platform. The platform was based around Citrix, VMWare and Microsoft product suites. The whole environment was upgraded, including the Microsoft Office suite, Exchange, LAN, WAN, WLAN, servers, storage and desktop devices. This new platform in the main was funded by key savings and productivity efficiencies delivered by the new environment. The business now has a platform that will deliver for five years, whilst also being extremely flexible and cloud ready should requirements change. In addition, the whole solution was virtually cash-neutral – funded by savings and improvements identified within the firm through the initial audit. We understood that we needed to invest across the IT estate, but past migrations and upgrades meant that we were going to be cautious. We knew that the decision was not simply based around swapping hardware, it was the base for the wider IT strategy. I will say that the trust we put into the QuoStar team was well judged and they delivered. It’s been good to find a partner we can work with on a longer-term basis with mutual trust and respect.